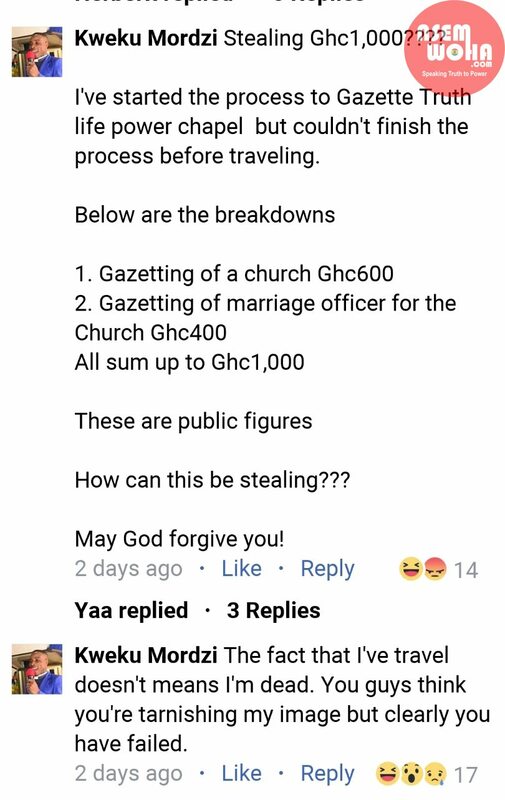 Truth life Power Chapel, a church located in the Sowutuom community of Ghana is accusing a former pastor, Confidence Kweku Mordzi of stealing GHC1,000 in cash and defrauding it also of GHC3600. 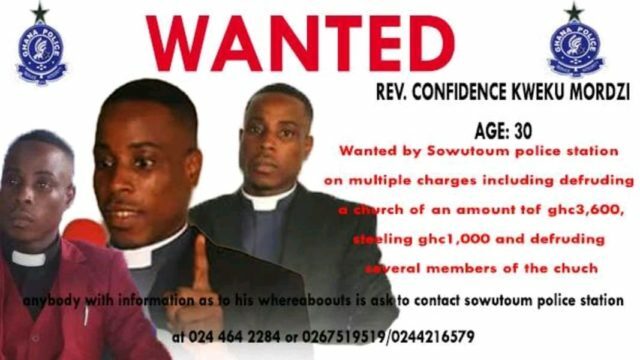 The church reported the issue to the Sowutuom police station and a wanted notice posted to the church’s Facebook account on March 21st 2019. The real twist was when the accused, who is purported to be on the run appeared under the same wanted notice to vehemently defend himself. This act amused a lot of facebookers who trooped in to tag friends. “A wanted pastor defending himself under the same post declaring him wanted’, funny.